The hosts are already secure in first place while Anadolu are looking for the win that would leave them secure in second place. 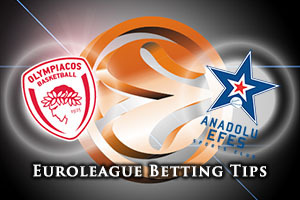 If Anadolu lose, they will fall to third and this will set up these two teams meeting again in the Top 16 of the Euroleague in the first half of 2016. You may think that there’s not too much at stake for the hosts but that doesn’t mean that they will not be bothered by the outcome of this game. When you consider that Olympiacos currently have the best defence in the league, you can see that they’ll be keen to maintain this standard of defence to the end of the regular season. Daniel Hackett was instrumental in the earlier meeting between these sides, when it took overtime to split them. That game ended with an 87-91 win for Olympiacos and the home fans will be pleased with more of the same on Friday night. The hosts may have the best defensive record in the Euroleague so far but the away team are ranked as the best shooting team at the moment so this is a game where both teams will be keen to test their strengths. 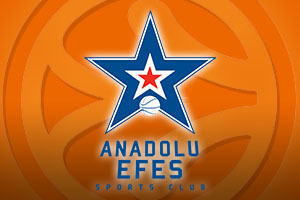 There is more at stake for Efes and this may be the factor that makes the difference in this game. With players like Thomas Huertel, Jon Diebler and Jayson Granger involved, there is a lot to be said for the attacking prowess of Anadolu and they will need to be at their best on Friday evening if they want to claim second place in the group. The hosts are the favourites for this game but taking Anadolu Efes Istanbul at +4.5 at odds of 1.90 isn’t a bad bet to start the weekend. For the Over/Under market in this game, you’d be advised to go UNDER 152.5 which is also available at odds of 1.90. Bet Now!